Secret Colours | If you didn’t know these guys were from Chicago, you’d assume they’re a bunch of Brits, with their insanely Britpop-influenced sound and their unusual spelling of Colours, but the Windy City exports manage to capture the soul of the UK in the late ’90s/early ’00s and mix in a good amount of 70’s Psychedelia for a sound all their own. 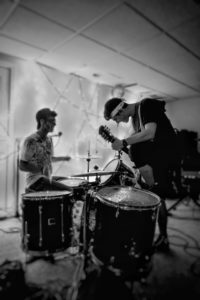 Ample amounts of fuzz and pop combine to sound something like if The Stone Roses and The Black Angels decided to mate, and their offspring is something to be cherished. 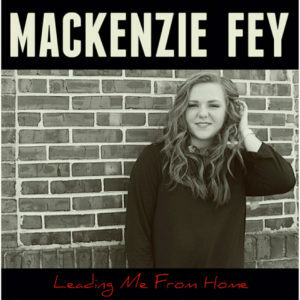 Makenzie Fey | Singer/songwriter Mackenzie Fey released her debut EP “Leading Me From Home” last summer and now celebrates the release of a new single “Trespasser”. Hailing from Naperville and now living in Nashville, Mackenzie’s sound forges timeless pop melodies with an acoustic, indie undercurrent that’s been compared to everything from Adele to Of Monsters And Men.